Amphetamine addiction is looming in the US at an alarming rate. Amphetamine ranks among the top drugs behind overdose deaths in the US. This is according to a 2016 report by National Vital Statistics Reports. Of course, not every addict will overdose on it. However, the results suggest a dark scenario of a stimulant addiction. Sometimes, they use various Amphetamine street names to cover up the addiction. To make things worse, more doctors are prescribing Amphetamine to treat ADHD. Actually, the reason is a sharp rise in ADHD diagnoses. Consequently, such practice has accelerated the likelihood of its addiction. Tragically, much of it is with kids and teens. Currently, Amphetamine addiction is a serious health problem. For this reason, it has widespread effects on a person. It makes them unhealthy, more likely to die or have a low quality of life. The effects may also extend to many financial and legal problems. What do the Street Names Mean? Mostly, street names are usually slang terms they use to refer to a drug. Unfortunately, you may not understand them even when they use it in front of you. They base a major fraction of the street names is on the color, shape, size or effects of the medication they abuse. The most common street name of Amphetamine is “Speed”. Nevertheless, knowing the other names could help to catch an abuse or addiction if it’s going on around you. They use Amphetamine street names as a code for the drug. As a result, it provides them a sense of privacy. Since there are about 50 names they use to refer to it, it is quite unlikely that you will memorize all of them. Likewise, the key here is how often they use those words. Watch if your loved ones are using any of the following names. These are more dangerous than Amphetamine alone. Why Do They Use Amphetamine Street Names? There are many reasons why they use the street names. Invariably, the major reason is privacy. Other possible reasons could be any of the following. Make them catchy: Using a street name, they can easily talk about it at almost every place, even in public. After all, nobody wants to memorize the complex and sometimes weird-sounding drug names. Hide the addiction from the people around or mislead them. Street names have little to do with the chemical present in the drugs so that nobody will try to make Amphetamine at home. In this case, they are more likely to be close to the effects they bring in the users. For example, Amphetamine causes an increased alertness. It will keep you awake for a longer duration. For this reason, they call it Uppers or Wake-ups/Wake me ups. When they use any of these names, people in their surrounding, are less likely to detect the addiction. This is especially with the parents. Moreover, the drug dealers use these names to confuse the police. They stylize the drug names. 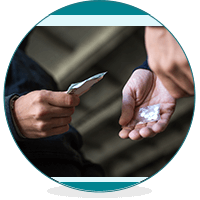 For many individuals, starting on a drug is something like a part of growing up or becoming mature. For example, this might be a rite of passage for teens. Additionally, they may also think it is cool to use a drug. To be uber cool, they may use such street names. How To Know If Someone Is Abusing Amphetamine? It is almost impossible to track down an addiction just by hearing some weird names they use. Nevertheless, such names could be the first thing indicating some problems. As a result, you might be dealing with an Amphetamine addiction. Take it as a warning sign if you hear them uttering some new or fancy names over and over. In any case, be more attentive when they are using those names while talking to their friends. Next, give a closer look to their behavior and any recent changes. They may include aggression, restlessness, irritability and extreme mood swings. Talk to them if you suspect anything wrong. Before that, comfort them and create a conversational environment. Talk to them where they can open up about their problems. Do you have any query regarding Amphetamine street names and its addiction? Talk to the experts. They are the most credible source for any information about addiction. Addiction centers have a team of experts. They have years of experience in treating addiction and Amphetamine withdrawal symptoms. Learn more about the best addiction centers near you. Are you looking for professional medical help for addictions? Get the best rehabs page here.